Cool Water Quilt Kit. 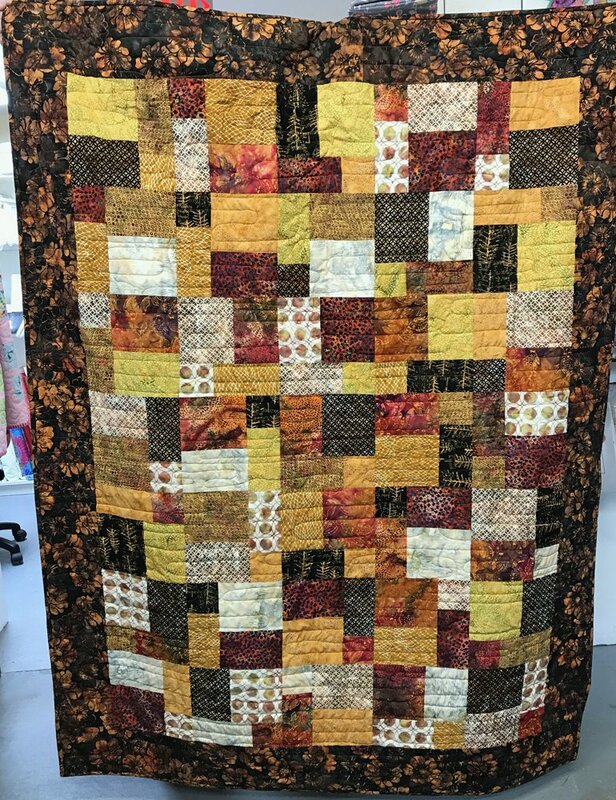 The pattern for this kit is called Cool Water, but we have chosen a beautiful warm palette of batiks in browns and golds for our version. Kit includes pattern and fabric for the top & binding. Not included: Backing and Batting.